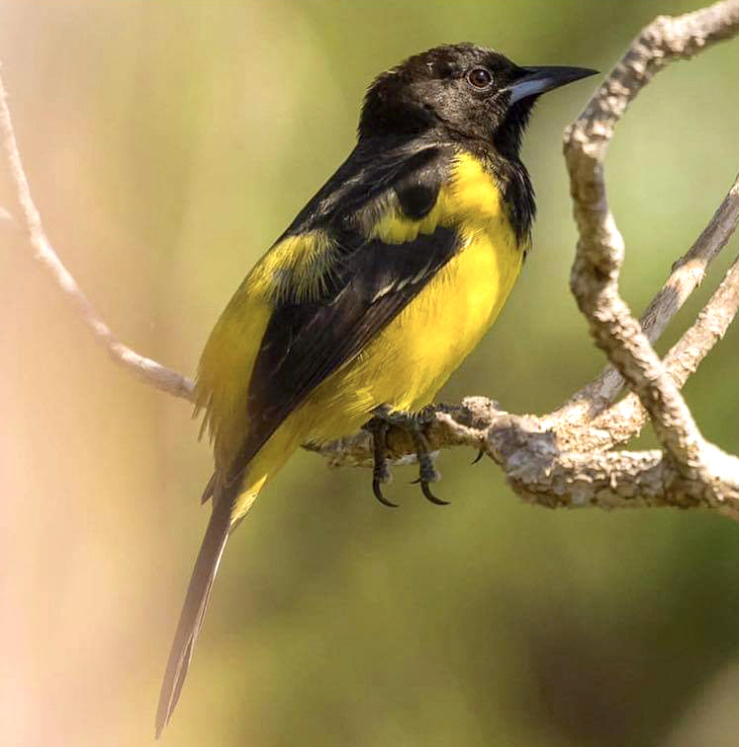 Exactly a year ago, the ultimate, complete and utter Checklist of the birds of Abaco, compiled by Tony White with Woody Bracey, was published. It covers 4 pages of close print in THE BIRDS OF ABACO, and lists the 282 species recorded since 1950, including so-called ‘exotics’ but excluding so-called ‘pets’ (sadly your minah bird would not qualify). New sightings had been static since a BLACK-BROWED ALBATROSS had made an unheralded appearance out at sea. 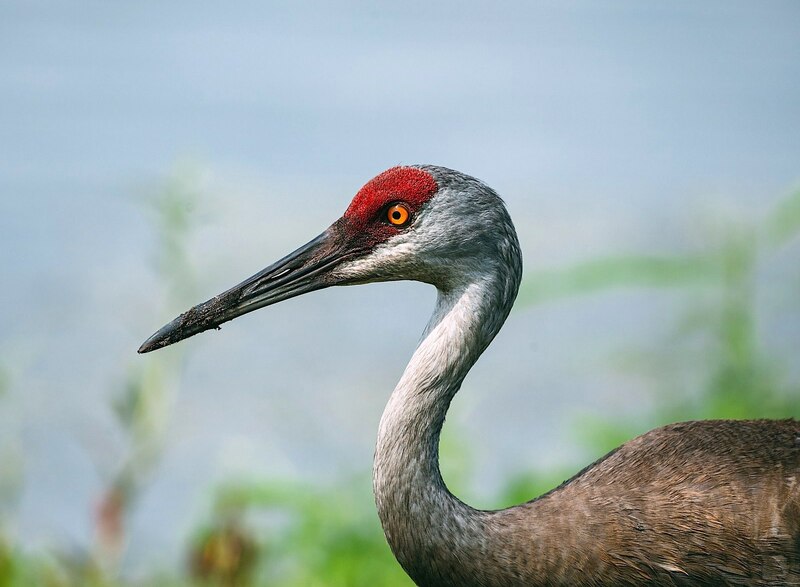 In the last year, 5 new species have been recorded. The links to them are listed below. That Checklist already needs an update! 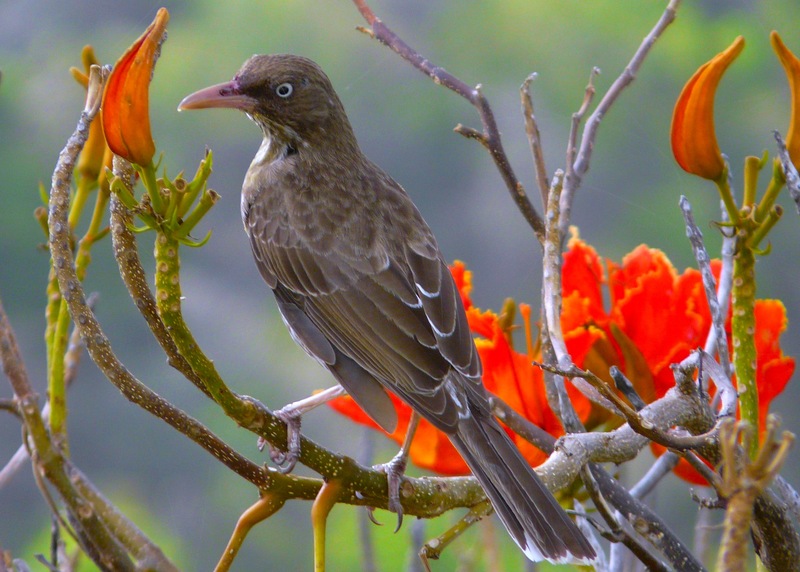 The newest bird in town is the Pearly-eyed Thrasher (Margarops fuscatus). 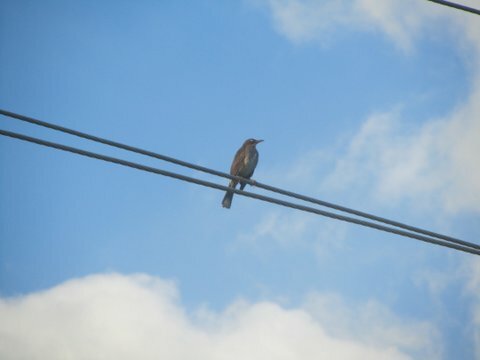 This is a bird in the family Mimidae, along with mockingbirds and the gray catbird. 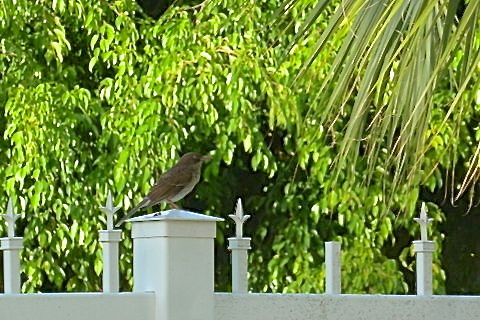 Until last November, no thrasher species had ever been recorded for Abaco. 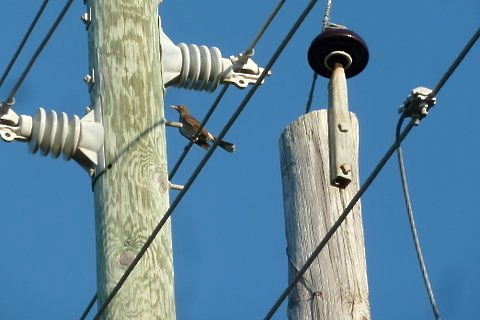 Then there was a sighting of a BROWN THRASHER. 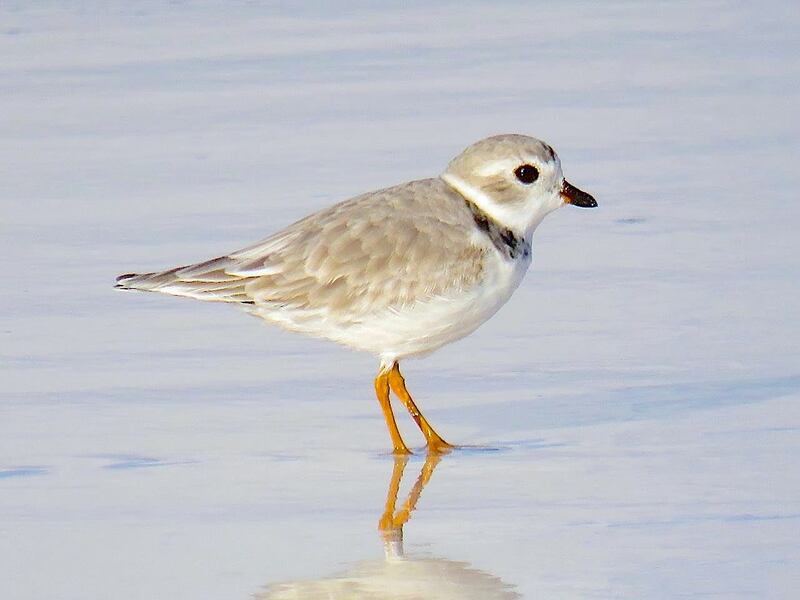 Just a few months later, its Pearly-eyed cousin has turned up right in the heart of Treasure Cay, seen by first by Erik Gauger and confirmed by Woody Bracey (each a contributor to THE BIRDS OF ABACO). 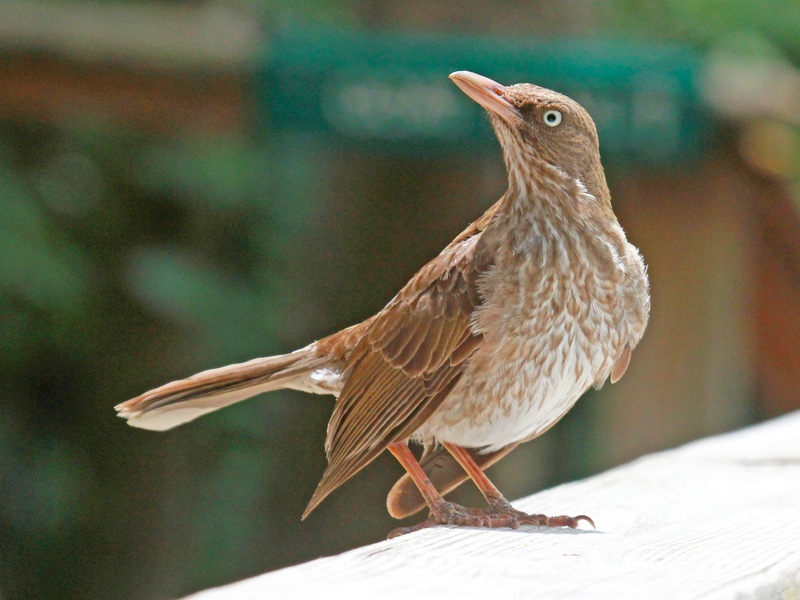 This thrasher species is found widely throughout the Caribbean, though with several varieties that are genetically distinct. 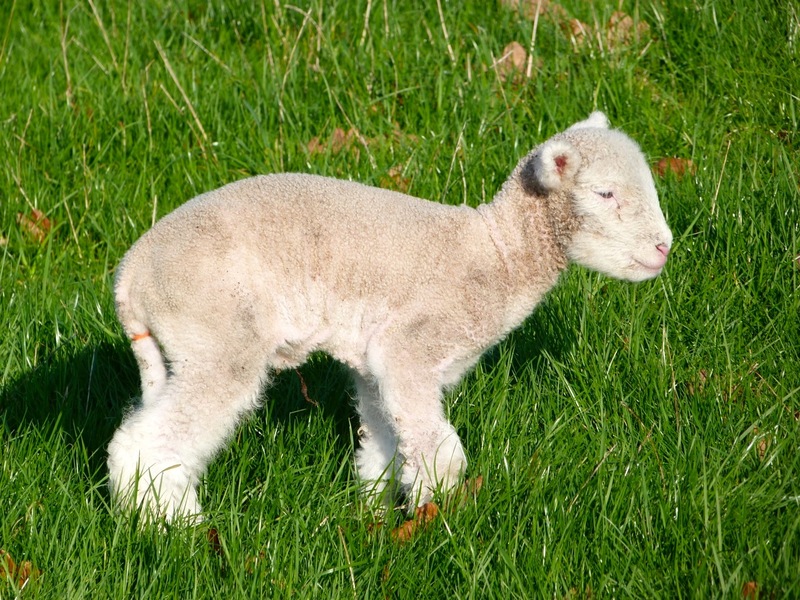 In the Bahamas, they breed on some of the southern islands. 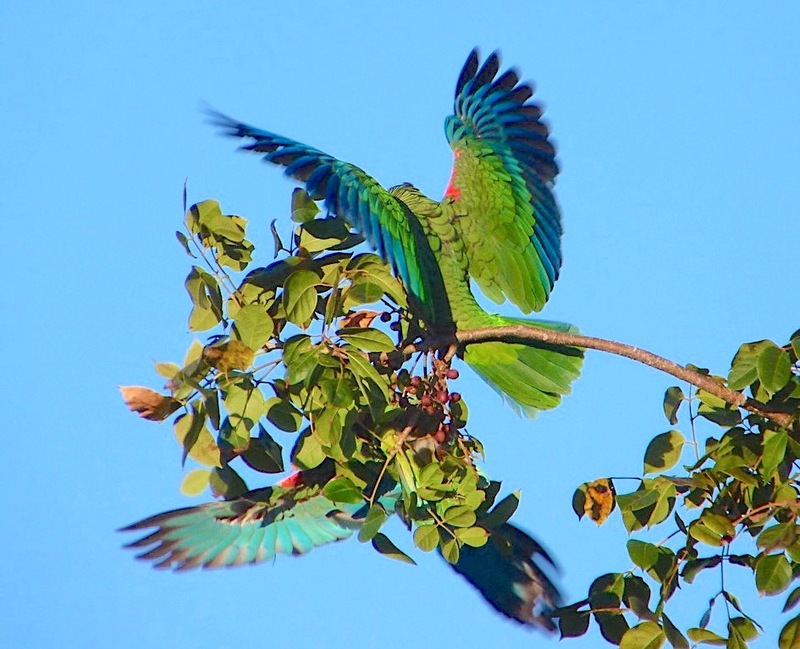 They are known to overwinter on Eleuthera and Cat Island, but have not previously been recorded as far north as Abaco. This sighting is important in suggesting that the species may be beginning to extend its range, although it could of course simply be a one-off ‘vagrant’, as they are officially yet disrespectfully known. 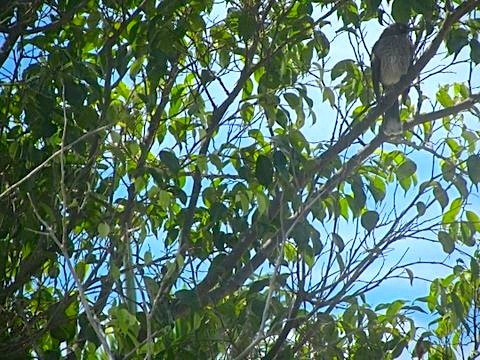 Since the first sightings by Erik & Woody a couple of days ago, Woody has been out again with a camera seeking to obtain photographic evidence of the bird. Last night he sent me a snapshot taken in difficult circumstances – the bird was being hassled by a Eurasian Collared Dove (who should have known better, being a non-native species itself…). The pearly eye is quite clear, as is the speckled front and white end to the underside of the tail. If a clearer shot comes in, I’ll add it. So, TC-based birders, a Rolling Harbour Kalik challenge is on! 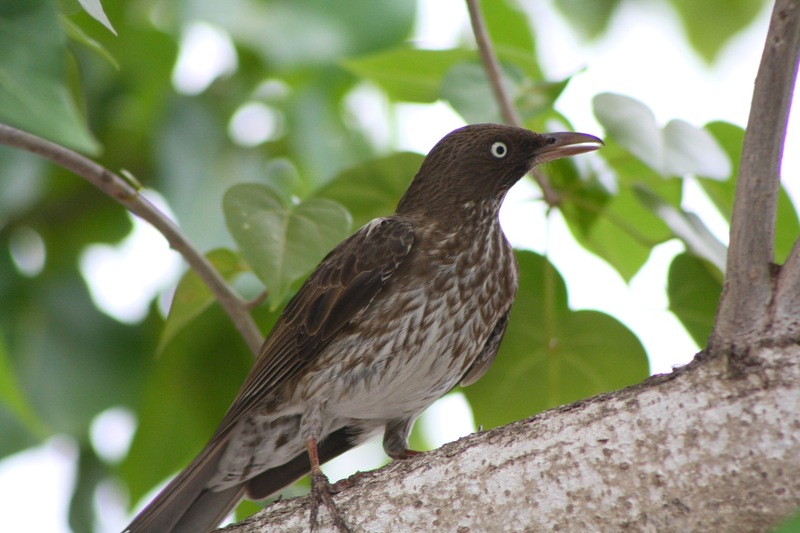 This entry was posted in Abaco, Abaco Birds, Abaco Wildlife, Bahamas Birds, Birding Abaco and tagged Abaco Birding, Abaco Birds, Abaco Wildlife, Bahamas Birds, Birds of Treasure Cay, Erik Gauger, Margarops fuscatus, New Abaco Bird Species, Pearly-eyed Thrasher Abaco, Pearly-eyed Thrasher Bahamas, The Birds of Abaco BOOK, Woody Bracey Abaco Birds. Bookmark the permalink.